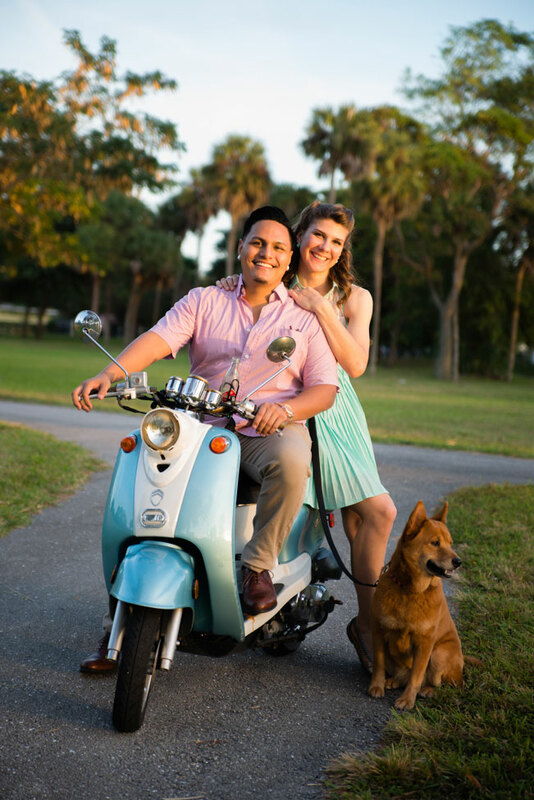 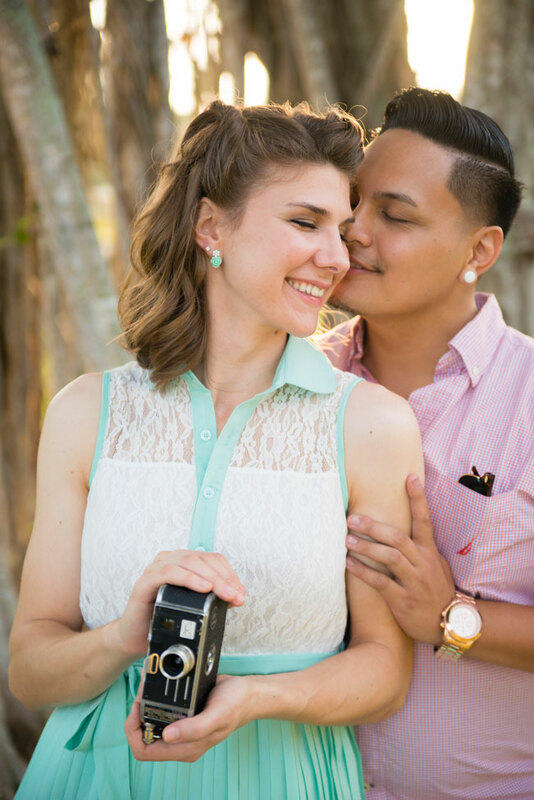 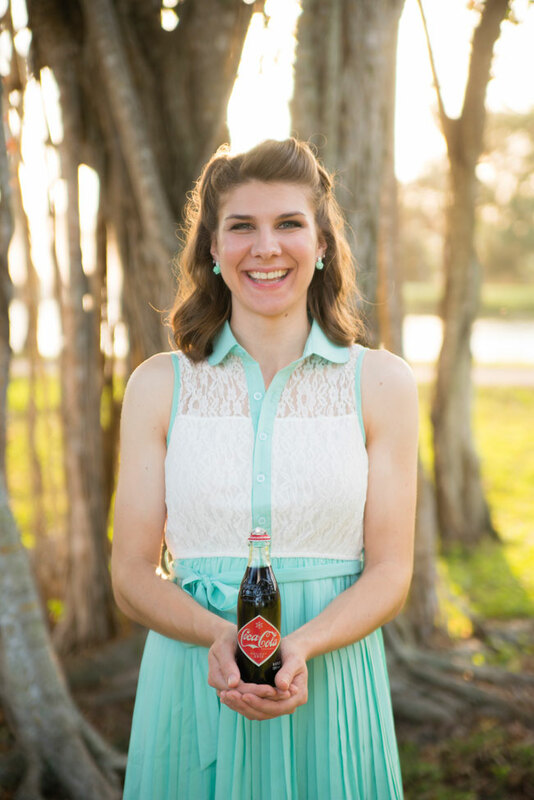 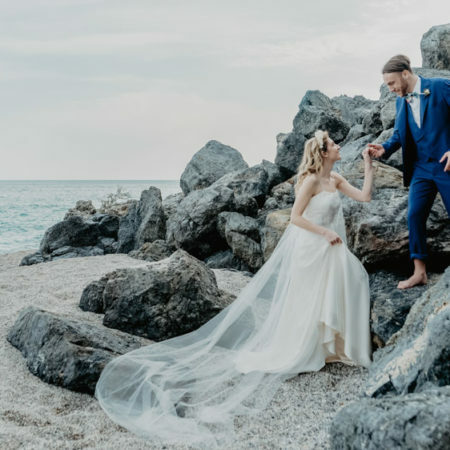 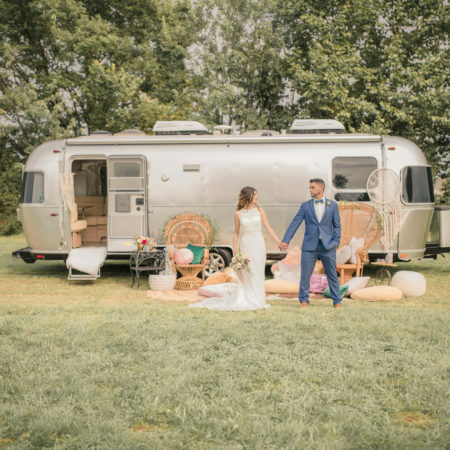 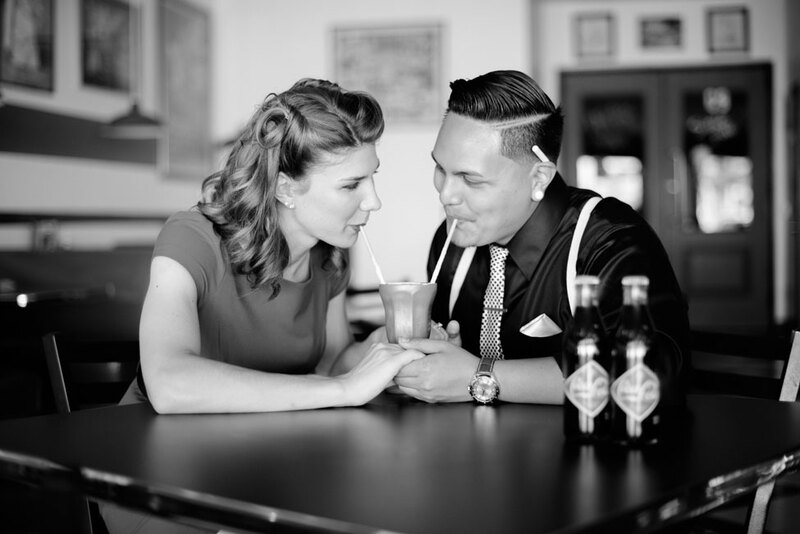 Whether the classic 1950s is your vintage decade of choice or not, it’s almost impossible not to get swept away by Allegra Nothaft & Justin Dorotheo’s retro engagement session with Florida wedding photographer Minerva Photography! 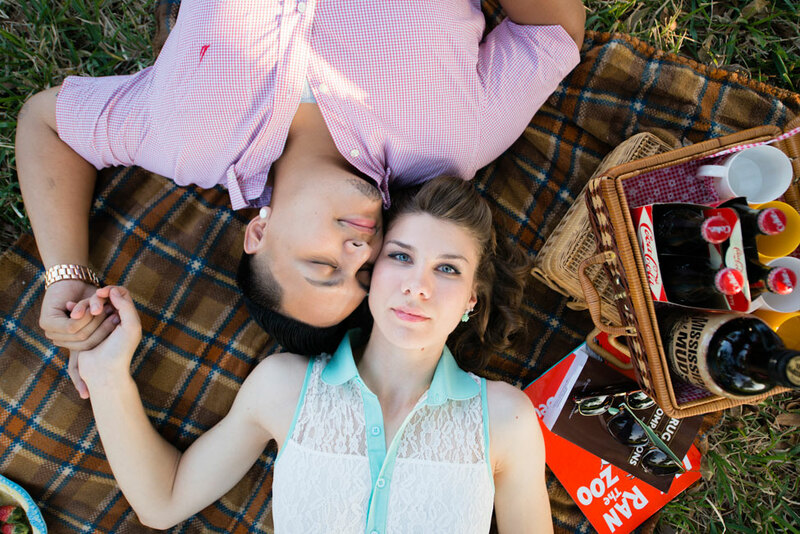 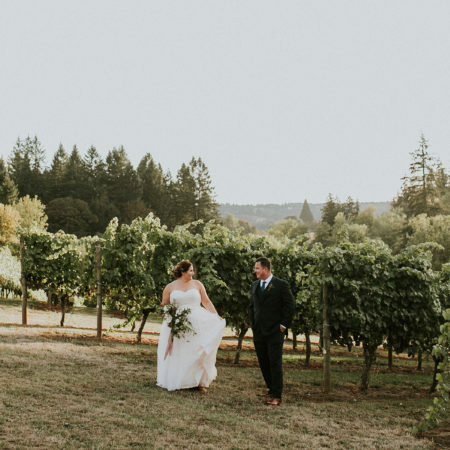 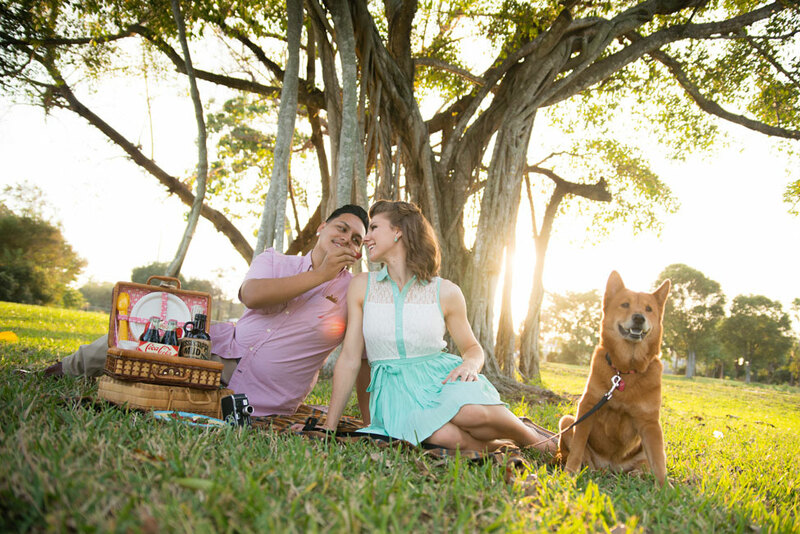 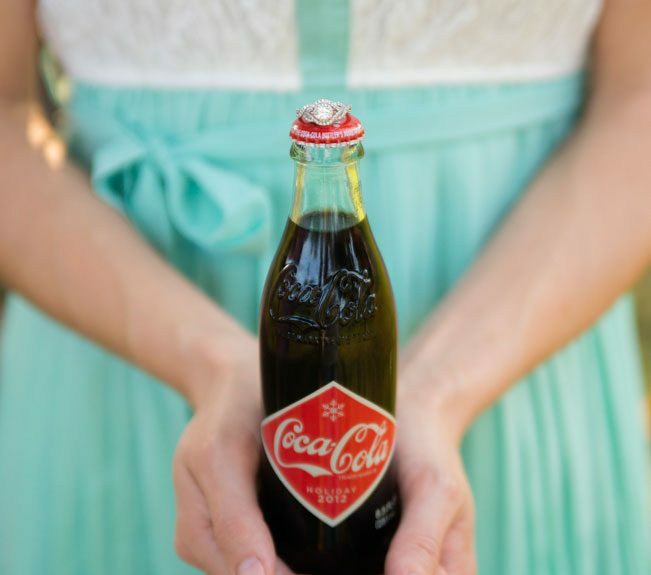 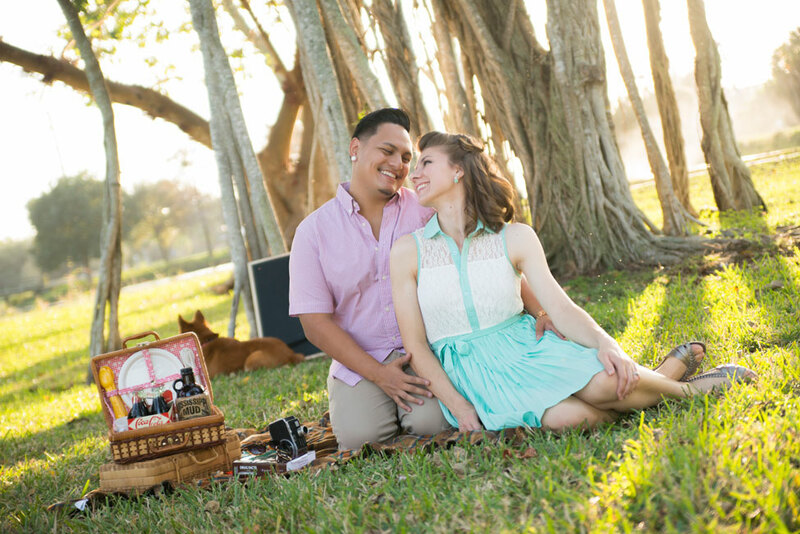 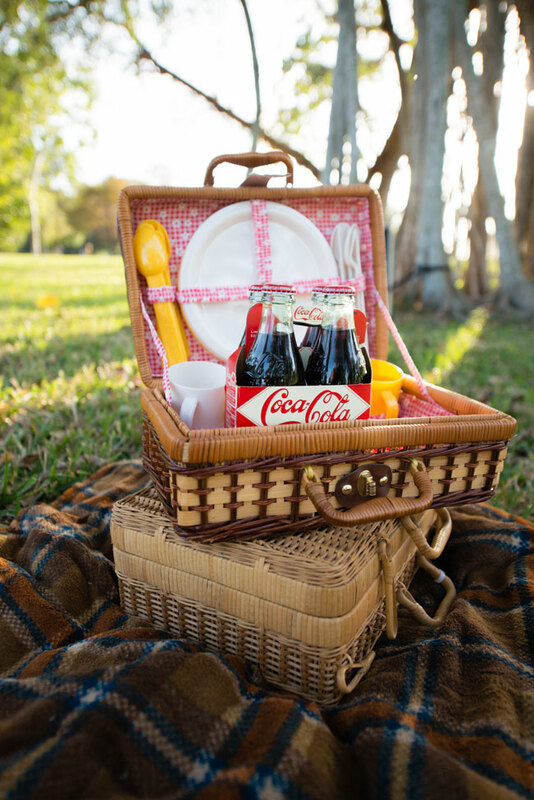 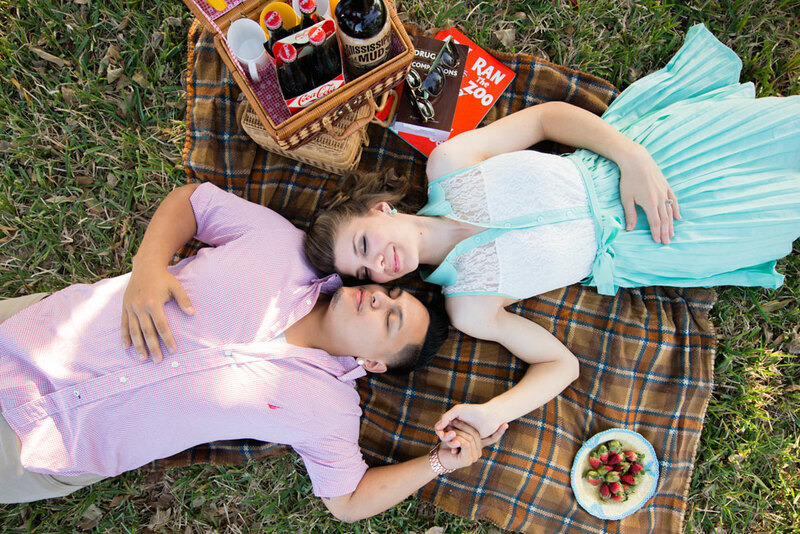 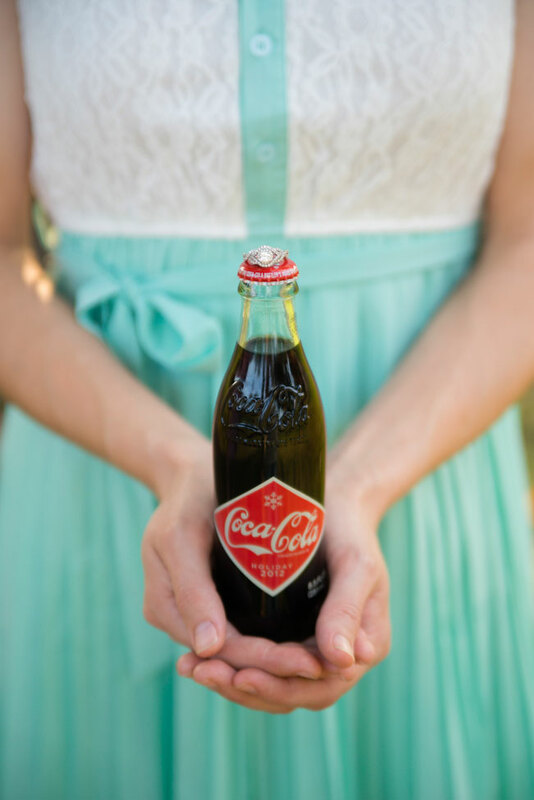 From a sugary sweet picnic filled with whimsical books to Coke Classic & a cameo by their adorable pup, their daytime date is the stuff young love dreams are made of. 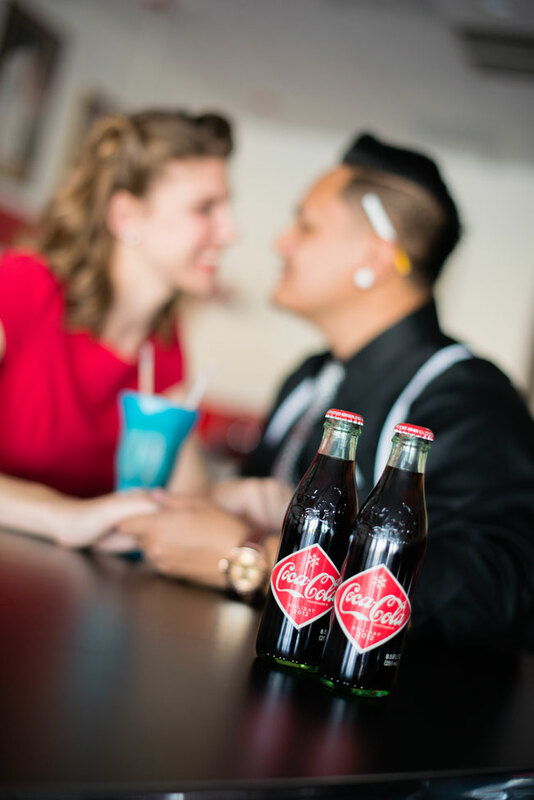 For those seeking dates with a bit more of a spicy side, Allegra & Justin donned classic red & black attire while stepping back in time to Nick’s 50’s Diner where the couple sipped on milkshakes & canoodled of course! 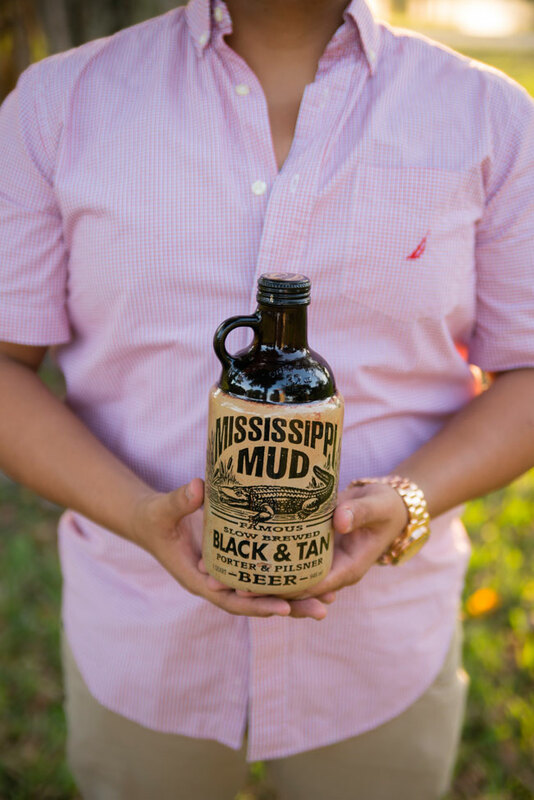 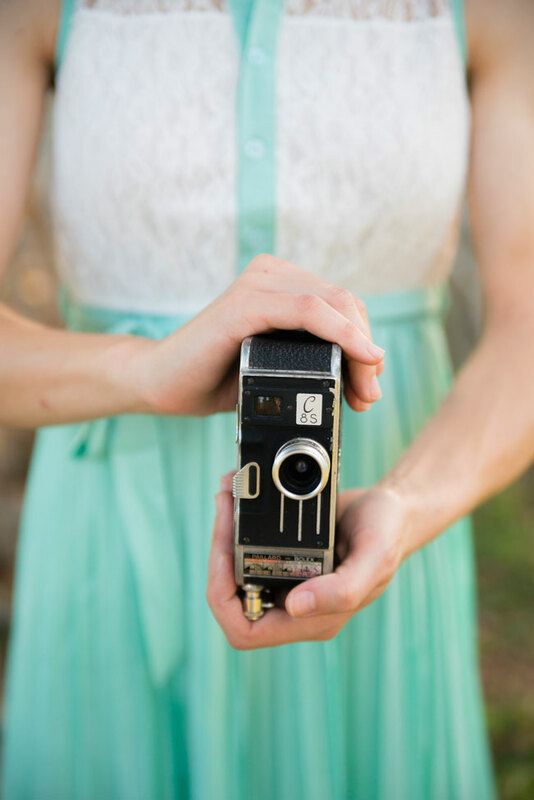 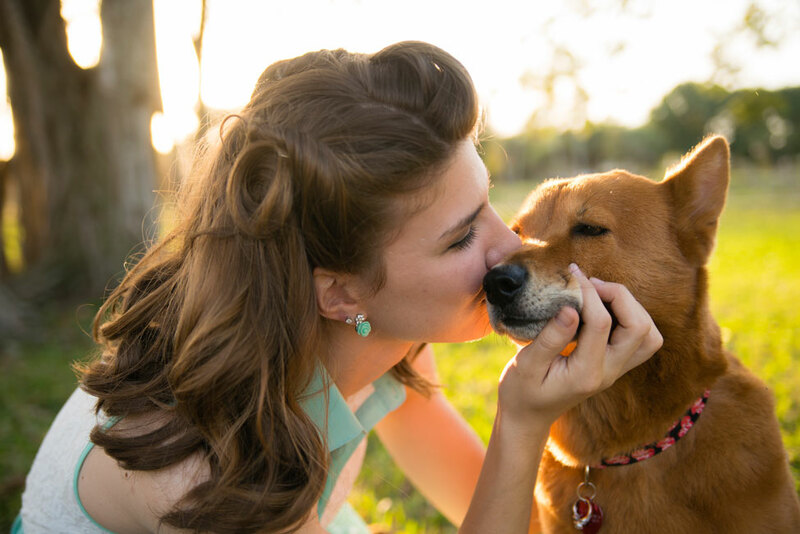 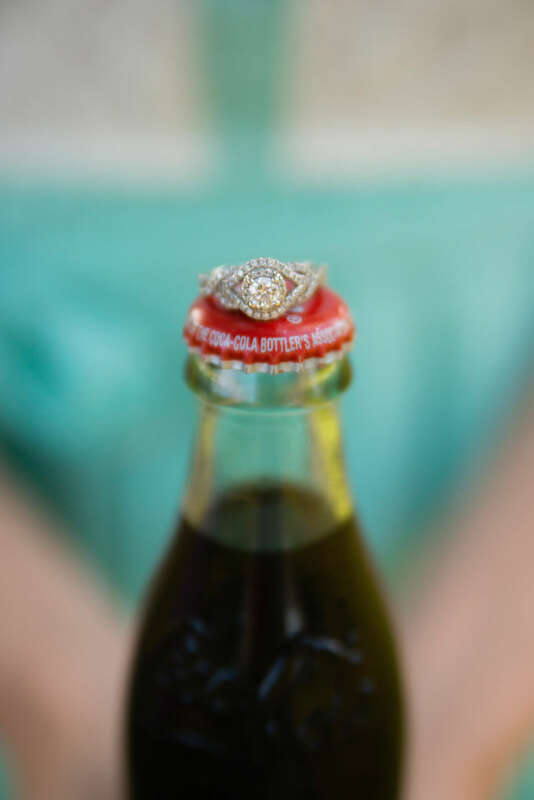 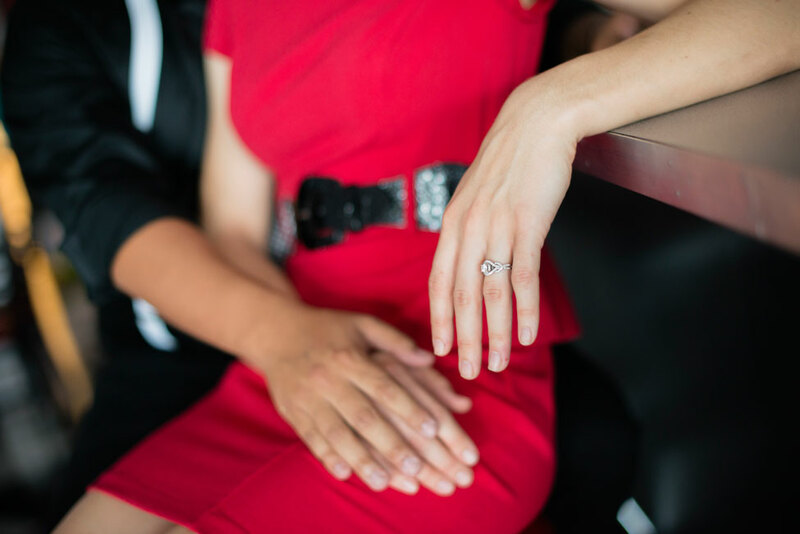 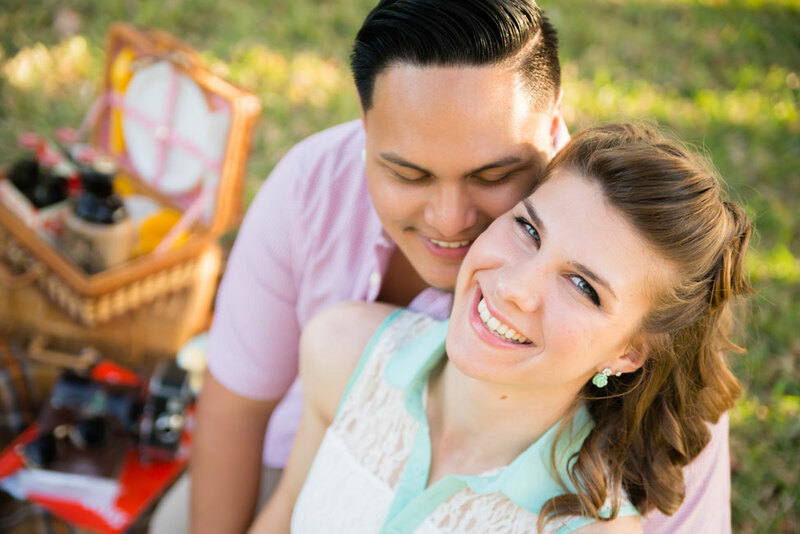 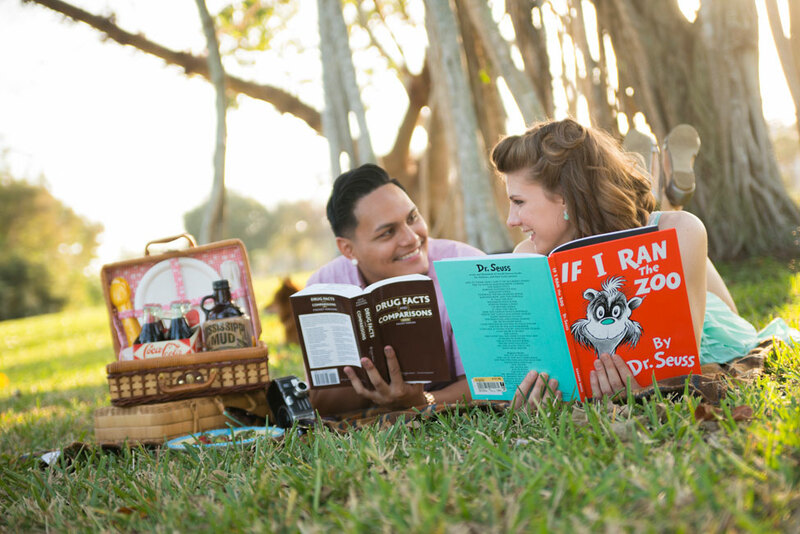 There is something infectious about this engagement session with a sweetly playful side!